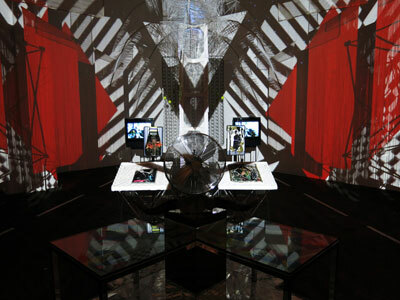 The installation drew influence from pop culture elements including music videos, advertisement, social networking sites and the club scene. 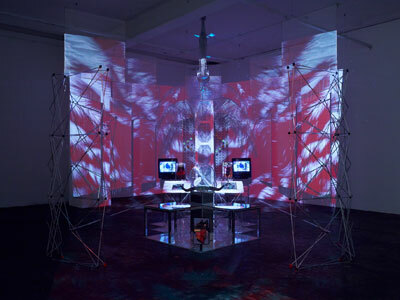 Diamond-shaped in plan, the installation’s interior layered characteristics of diamonds, such as transparency, fractured light, trianguled surfaces and sharp anglesto produce dynamic reflections and shadows. 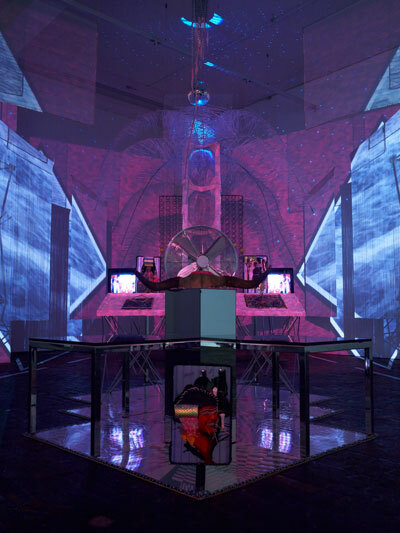 Soundrecordings by Berlin-based rapper Black Cracker lured visitors inside and surounded them with the ambience of a deserted night club. 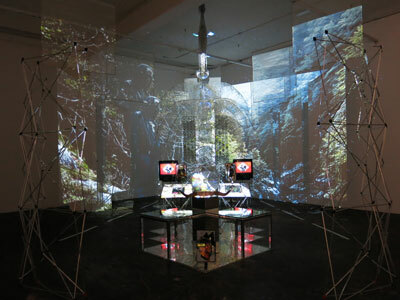 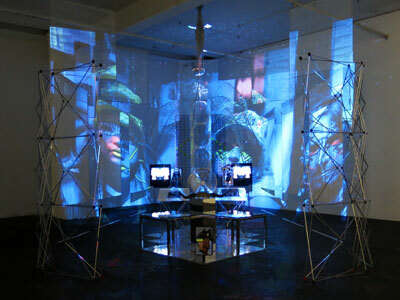 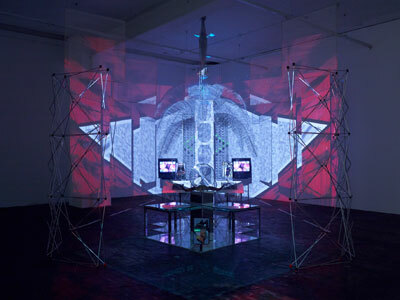 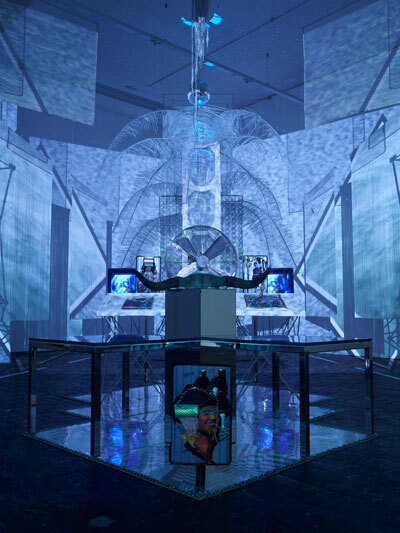 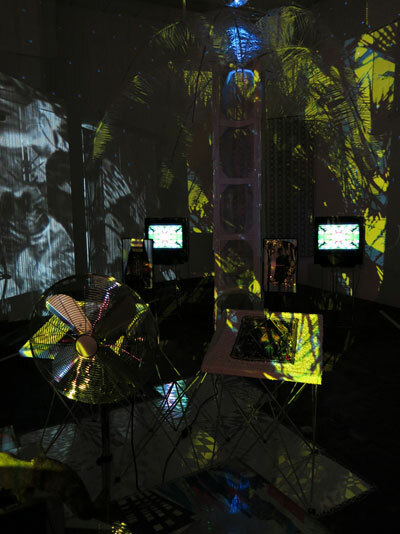 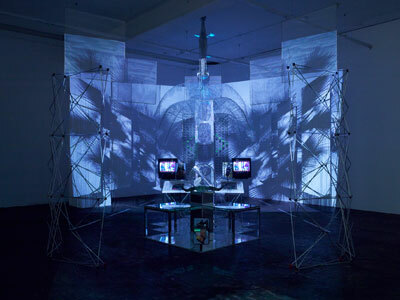 The video work «PROBLEM No # 14», part of the installation, was broadcast on two television monitors. 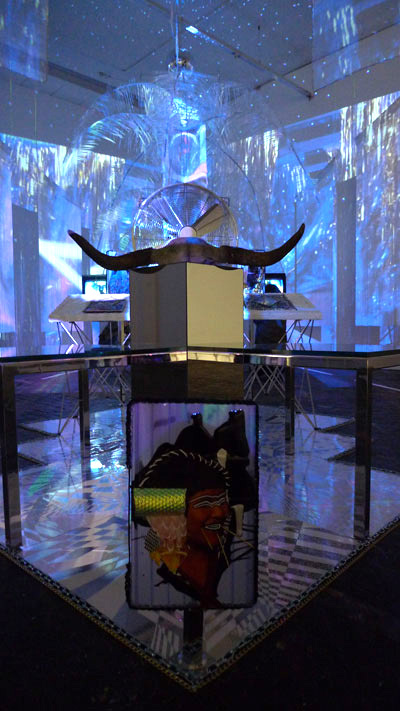 Flamboyant costumes, layered with video filters and visual effects, fabricated a cult of personality. 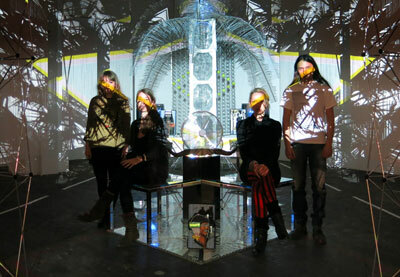 The sound accompanying the video is a recording of a concert in the U5 studio from 2014 called «XOX» by Berlin-based musician Black Cracker (rap/jazz).